New Generation Care Foundation, Punjab, Call us +91-9815533272, 9815191982 Established in the year of 2000 in the light of Mr.Rajbir Singh (Founder & Director): We are committed to deliver the right treatment for Drug and Alcohol addicts patient in north India as our renowned centre Nasha mukti kendra in Punjab, We at Nasha mukti kendra in Punjab >New Generation Care Foundation providing quality and best treatment for Alcoholic, Drugs addicted patient in Punjab, Punjab, S.A.S Nagar, Moga, Punjab, pathankot, Rajpua, abohar, Malerkotla, Khanns, Punjab, Kapurthala, Phagwara, Zirakpur, Rajpua etc. 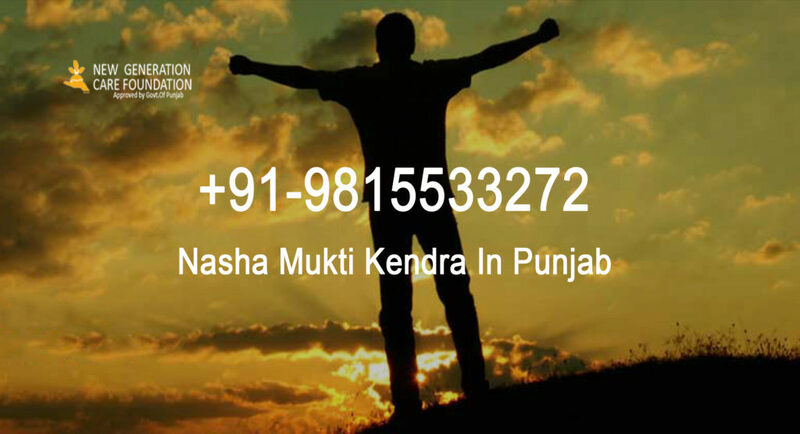 With the help of expert doctors and unique expertise ways and techniques of treatments here at Nasha mukti kendra in Punjab we are intend to cure drug addicted persons. As western styles are being highly transforming the youth of Punjab, Himachal and other states and the youths are becoming day by day addict to these drugs, we at New Generation care are working hard to transform drug addicted people to de addiction by giving them healthy treatment and lifestyle. As due to modernization drug addiction is raising in a tremendous manner and drug addicted youths graph is raising, we are giving best treatment. New Generation care is providing best Detox treatment to drug addicted people in north India till date 4600 drug addicted patients are transformed to de addiction. Opioid which are used in cold and cough syrups in limited quantities now a days youths are taking Heroin a kind of opioid by increasing its prescribed dose from 15-25 percent which leads to drug addiction of opioid, here at Nasha mukti kendra in Punjab (new generation care) we use lots of therapies and meditation techniques and defoliation for making youth de addicted to these drugs.